As a Cheshire wedding photographer I'd wanted to shoot at Sandhole Oak Barn for months, but with weddings and other things getting in the way, I had to keep putting off producing a photoshoot there. 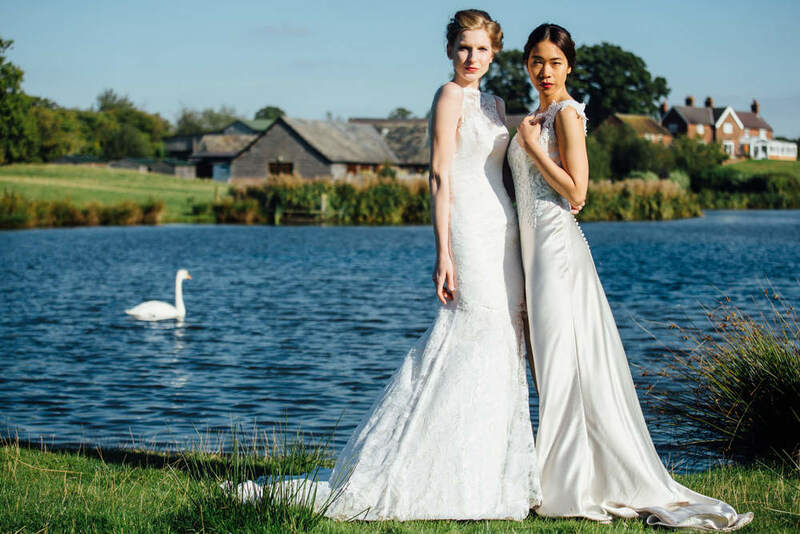 There are a few things I love about Sandhole Oak Barn wedding photography; the surrounding countryside, the wedding/farm-yard mashup of clichés, and then there's that pond! 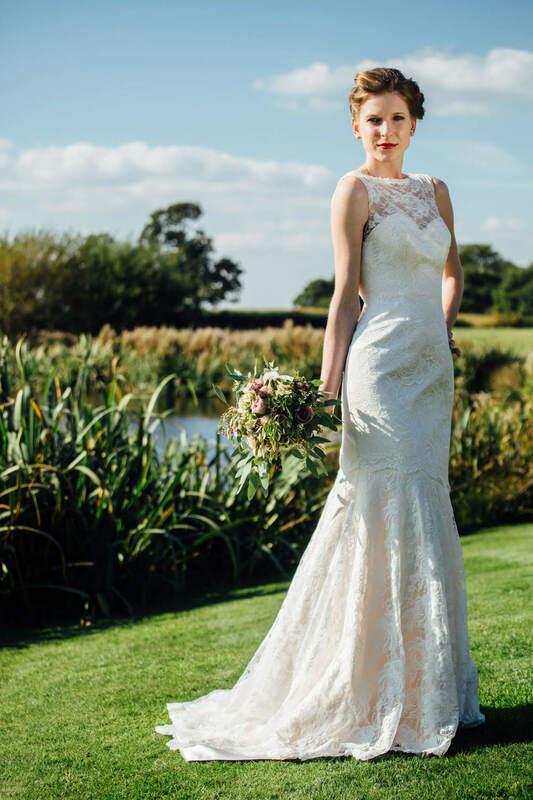 The shoot would be a fine art wedding photography style in a farm/barn cheshire wedding venue - it would be used to concentrate on bridal dresses and moreover the fine delicate detail of the dresses. 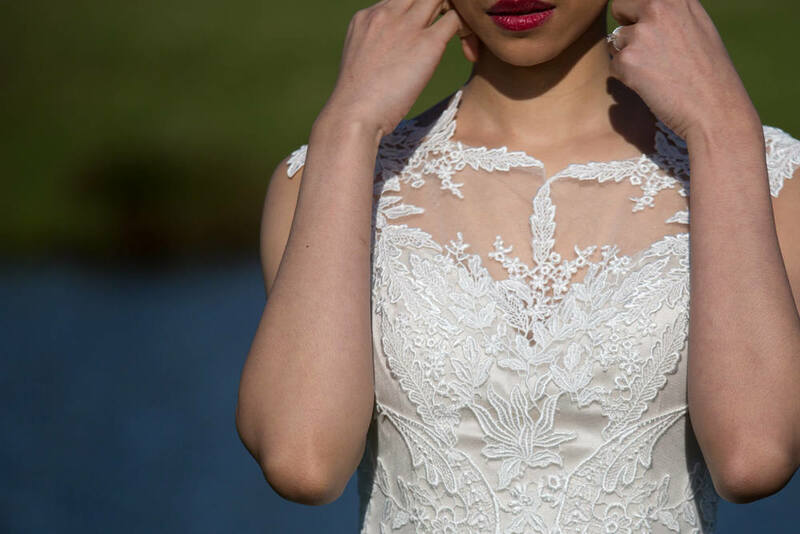 I put the idea over to Helen at 7th Heaven Bridal Boutique in Congleton and she loved it - we chose Justin Alexander and Charlotte Balbier dresses for the shoot which held an incredible amount of detail throughout the dress. from top to bottom. 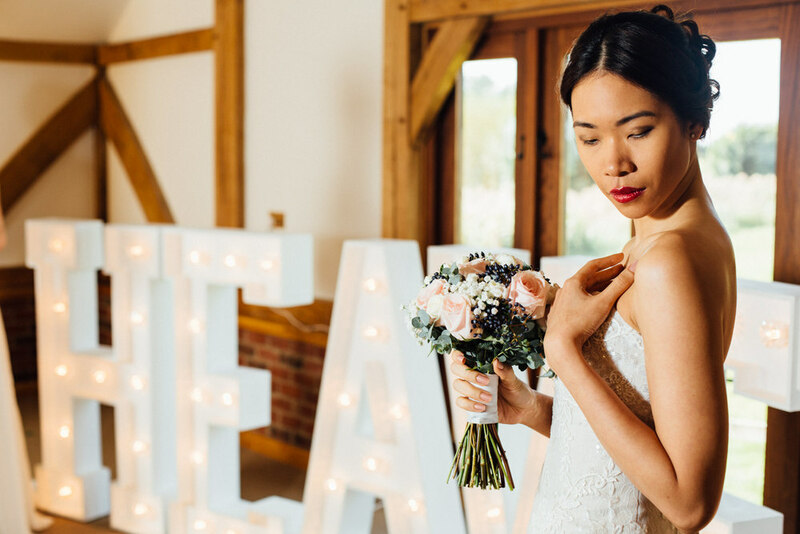 Having scoped a bridal boutique for our Sandhole Oak Barn wedding photographer shoot, we got in touch with The Word is Love who were more than keen on taking part in the shoot - supplying us with HEAVEN light up letters (we later aptly labelled this as the '7th Heaven Bridal Shoot'). 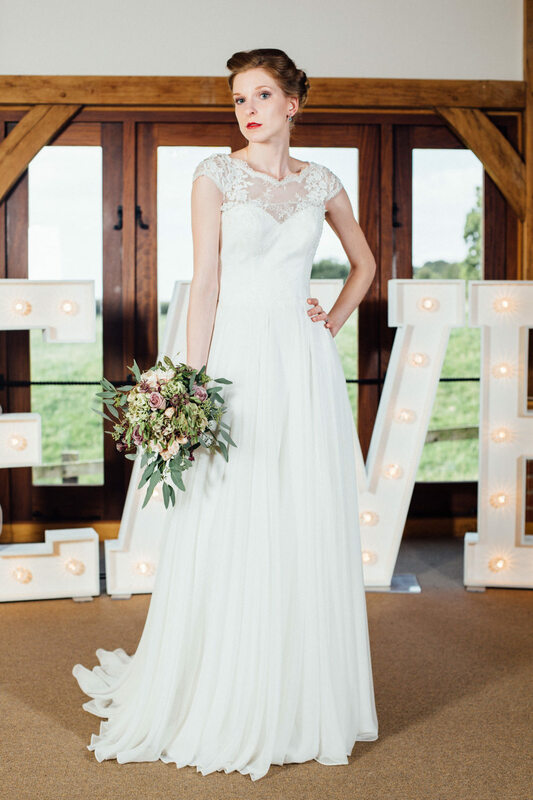 The HEAVEN letters nicely lined the wall of Sandhole Oak Barn - providing a nice backdrop for our two bridal models; Katya and Bo. 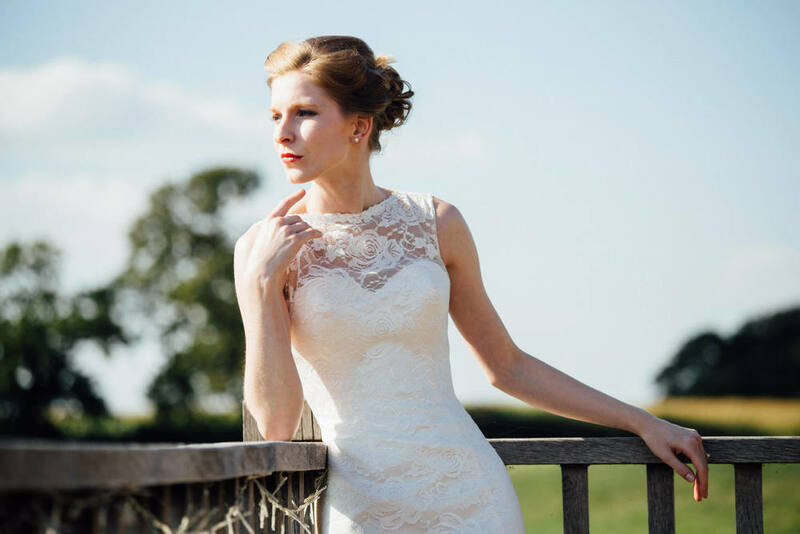 Emma (Emma Culbert MUA) was able to provide us with some gorgeous make up and she teamed up with Shoni (at Boutique Hair) who produced the most stunning hairstyling. The two of them together really work well! 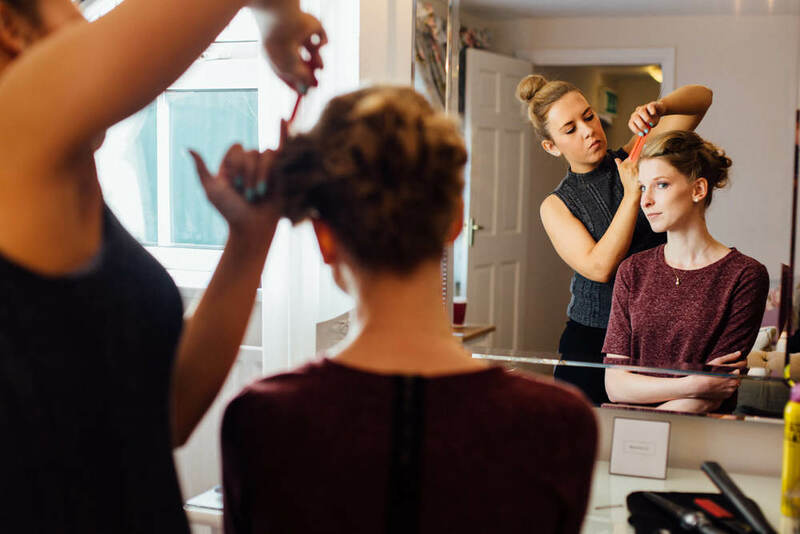 The bridal preparation rooms at Sandhole Oak Barn are some of the best I have come across in the North West, they would definitely be worth staying over the night before for! As the day progressed, the sun came out and rewarded us with what turned out to be a very hot and sunny day!. 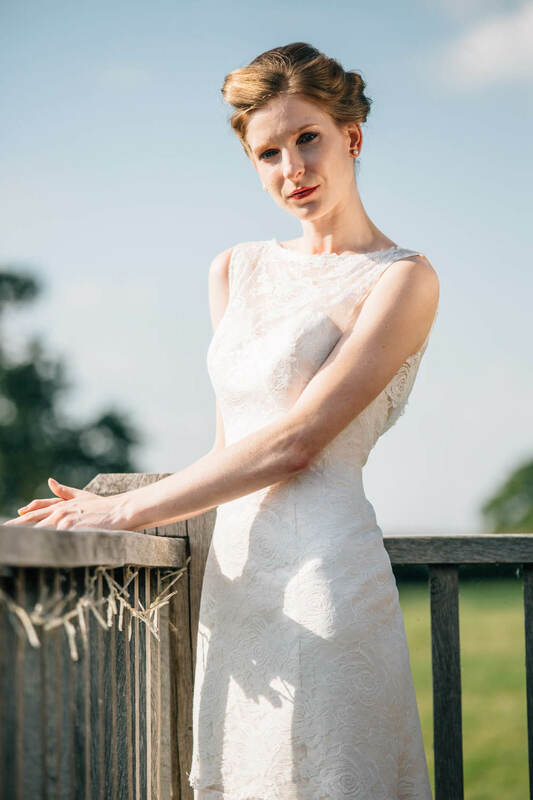 We therefore quickly progressed from shooting indoors to shooting on the wooden decking overlooking the pond (a great feature for any wedding day!). For the decking photography I wanted to show the silk finishing of the dresses and how the dress 'drips' away from the models. I am very much looking forward to coming back as a Sandhole Oak Barn Wedding Photographer.